Hoverboards, once believed to be the transportation of the future, have taken a long time to come into existence. Even though many of us were ready to do whatever it took after seeing Back to the Future 2 to get our hands on a hoverboard, it has only been recently that this somewhat magical transportation method has come into existence. There are, however, some kinks that need working through, hence the massive recall. This past Wednesday, a recall was issued by the U.S. Consumer Product Safety Commission that affects nearly 501,000 hoverboards. The reason, according to the report, is that the specially designed lithium-ion battery packs that the self-balancing machines use to power their locomotion is prone to overheating. Once this occurs, hoverboard owners can experience anything from startling sparks and smoke coming from the machine to an actual fire or, in the worst case, an explosion. As of this moment, the Consumer Product Safety Commission has fielded reports of around 99 separate incidents related to the combusting hoverboards in which individuals have sustained injuries or personal property was damaged. Models from these companies include the Swagway X1, Hovertax, Airwalk Self Balancing Electric Scooter, Hype Roam, and Powerboard. These companies designed and created their specific versions of the hoverboard in places like New Jersey and Hong Kong, and all the boards were manufactured in Chinese factories. The retail cost of the devices was anywhere from $350 to $900. Anyone who owns a hoverboard from any of these companies is encouraged to cease using the device immediately. The various companies involved have also asked that the consumers contact them via their call centers or websites to receive either remuneration or, in a few isolated cases, repair of the hoverboards. With 99 reported incidents where injury or damage took place, the malfunction proves itself to be more than an inconvenience. Maybe we still have more time to wait before we join Marty McFly in his time-defying journey. 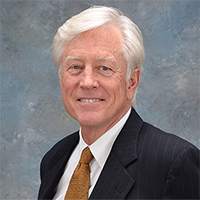 For over thirty-five years, Orlando product liability lawyer James O. Cunningham has been fighting for the rights of victims involved in accidents. For a free initial consultation, contact us today at 877-FL-INJURY (877-354-6587).